I shall begin this General Policy Debate, the first of this 10th legislature, by covering the four major themes currently affecting our country and that, depending on their evolution, will outline the future of Catalonia both in the short and in the long term. I'd like to point out, from the very start, that the four major topics that I will mention should not be seen as discrete compartments, but rather intersecting and overlapping interdependent issues. the political process begun in Catalonia, based on the right to decide* and the concept of a national transition. the situation and perspectives of the finances of the Catalan government [la Generalitat], and therefore the viability of most public policy in Catalonia. the restoration of confidence between institutions and the populace, democratic regeneration and quality. Let's dig in, then, to these four areas that I propose to you. Let's go over a quick synopsis of the events of the last few years that explain why we are where we are and how we got here. September, 2005: approval in this Parliament and by a wide majority, of the proposal for a new Statute of Autonomy. End of 2005: confirmation that the president of the Government of Spain, J.L. Rodríguez Zapatero, had for a long time retreated from and had no intention of fulfilling his famous and public commitment to “support the Statute that comes out of the Parliament”. January, 2006: Moncloa Pact in order to unblock the whittled down Statute that was more dead than alive. June, 2006: Referendum in Catalonia to approve the Statute previously approved in the General Spanish Congress. The Yes vote won 74%, with a turnout close to 50%. The new Statute goes into effect. As always, there begin to be ways in which the State does not follow the agreements. Once again, the bar is lowered below where it had been lowered to before. June, 2010: Ruling of the Constitutional Court, on the suits from the Partido Popular and the Spanish Ombudsman, that eliminates essential portions of the Spanish Congress-approved Statute—that is, approved by the body which represents the sovereignty of the Spanish people—and by the Catalan people in a referendum. An unnecessary, disproportionate, humiliating ruling that puts an end to 100 years of Catalanist action based on faith in a constructive and loyal understanding with the Spanish State. Miquel Roca, one of the fathers of the Constitution, writes then that "the common project of 78 has been exhausted. The Constitutional Court has buried it. Spain has a problem." July 10, 2010: Massive demonstration in Barcelona under the slogan "We are a nation, we decide". The then-President of the Generalitat, José Montilla, attends. July, 2012: the Parliament of Catalonia approves, also with a wide majority, the proposal for a fiscal pact in line with economic agreement. National Day, September 11, 2012: One million and a half people, in the most well-attended demonstration ever held in Catalonia, take to the streets of the capital of Catalonia in the most civic fashion, behind the placard, "Catalonia, New State of Europe". Nine days later, on September 20 of last year, [Spanish] President Mariano Rajoy closes the door on any negotiation on the fiscal pact. With this refusal made clear, I decided to dissolve the Parliament and convoke elections for November 25, 2012. November 25, 2012: The highest turnout of all the Parliamentary elections since 1980. The result is well known, and determines the current composition of this chamber. Those elections were held in order to obtain the legitimacy for beginning the road that we are following today: the right to decide, the referendum, national transition, and Catalonia's own State. From those elections on, no one can talk about silent majorities when referring to the political future of Catalonia: 70% turnout at the polls is a loud majority. Very loud, and at the same time very calm. Seeing the description that I have laid out, can anyone really be surprised that we've gotten to this point? We are here because the Constitutional Court ruling erected a wall between the majority of the Catalan population and the Spanish State, and at the same time gives solid evidence that the famous "fitting" of Catalonia in the State is not possible in the terms that the multicultural, diverse, and varied forces of Catalanism historically and until very recently were determined to find. Put another way, fitting Catalonia into Spain is only possible if Catalonia renounces its collective project, if it gives up being a political subject. If we accept being an object, fitting together would be possible. If we want to be a subject, with our own personality and identity, with the ability to offer the 7.5 million Catalans their own project, that is not subordinate, then fitting together is not possible, despite our repeated attempts over a very long period. More than one hundred years. But that's not the only story. Meanwhile, Catalan society has not conformed, has not lowered its head, is not crossing its arms in resignation. The country is alive, very much alive. And it is reacting. It is mobilizing. It is tired of a relationship with the State in which it sees no future, under the current conditions. I may be wrong, but I'll give you my perception: Catalonia feels real affection toward Spain, Catalonia loves Spain, but it no longer trusts the Spanish State. This country that is alive and hopeful for a different and better future, that wants to be the protagonist of its own destiny, is the one that came out last September 11th, democratically, peacefully, massively, civically, and even joyously, despite the difficulties of its current situation, and forms the Catalan Way toward Independence, a great expression of its faith in its own collective future, and impresses the world with its vitality, its enormous capacity for mobilizing itself, and even for its good manners. This time, even the State, usually arrogant and cavalier about Catalan national questions, almost as often condescending as it ignorant, had no other option than to realize it has a problem. A big problem. How is this situation that we are experiencing being translated in this chamber of our Parliament? Over a range of variations, that go from Constitutional reform to the configuration of an independent state, one thing remains clear: 107 of the 135 members of this Parliament had electoral platforms that included proposals that approved different systems for changing the current relationship between Catalonia and the rest of the Spanish State. The right to decide and the will to hold a referendum are therefore the desire of a wide spectrum, and indeed a wide majority, of this Parliament. They are today and they will be tomorrow. While it is true that the views on the referendum are varied and diverse, it's also true that practically 80% of the Parliament is very clear that we cannot maintain the current status quo. We are facing a new political centrality in Catalonia, a new era. Very different from previous eras. I myself, at one moment, even spoke of the twilight zone. And now we are here, and in addition, we know that that there is no turning back possible. In these last few months, clear steps have been made in the direction of the path that the people of Catalonia traced for us in the elections 10 months ago. On January 23, the Parliament of Catalonia approved in plenary session a historic declaration of sovereignty and of the right to decide of the people of Catalonia, in which the beginning of the "process to realize the exercising of the right to decide so that the citizens of Catalonia can decide their collective political future" was solemnly demonstrated, together with the principles of sovereignty (that is, that the people of Catalonia are a political subject), democratic legitimacy, transparency, dialogue, social cohesion, Europeanism, legality, the central role of the Parliament, and participation. Incredibly, the Spanish Government took the Declaration of Sovereignty before the Constitutional Court, which declared its suspension. Regardless of the final decision that it will end up making, what's absurd and difficult to understand is that they are trying to cancel a political position, which expresses the will of the people of Catalonia to exercise their right to decide by strictly democratic means. How can they invalidate a democratic expression of will? Does it mean that a wide majority of Catalans must stop expressing our will or saying what we think? Can you invalidate a declaration that expresses a peaceful and democratic thought? Later, on March 13, the Parliament approved by an even wider majority a resolution in which it pressed the Government to "initiate a dialogue with the Government of the State in order to make possible the celebration of a referendum of the citizens of Catalonia in order to decide on their future." In this way, then, the Parliament was giving form to the legislature's national objectives: political positioning in favor of initiating the process for the referendum and a mandate for the Government to open dialogue and negotiate with the Spanish government. In that same direction, last July 1, the Parliament constituted the Study Committee on the Right to Decide, thanks to a proposal by 5 of the 7 political parties in this chamber. At the same time, we have worked toward another of the elements that is fundamental, in our opinion: the process has to have support from as wide a part of the political spectrum as possible, as well as important support from society, and that this support continue to grow. The wider the better, since that is what will make this incontestable. To this end, on June 26, the National Pact for the Right to Decide was instituted, with a goal of involving the civil society, the most representative institutions of the country, the local community, and the political powers that are in favor of having a referendum, regardless of their final position at the moment of the referendum. Last week, President Rigol publicly presented the proposal of the Declaration of the Right to Decide, along with the objective in the next few months, that all of those signed up for the Pact can subscribe to it, thereby expressing the unequivocal cross-cultural and cross-organization determination that exists around this process. For its part, the Government constituted in April the National Transition Advisory Committee, made up of 14 people of important and recognized prestige throughout the university and professional worlds, which is charged with analyzing and foreseeing the major decisions that the Government will have to make, and the structures of State that Catalonia will have to have, as it becomes a new state. It's clear that we are embarking on a new era in which we have never worked so deeply or with so much detail. It's also evident that this is a process that we have to be capable of carrying out well, with rigor, seriousness and careful steps. Therefore, the work that this advisory council is doing will be useful for creating a clear road map of the decisions and elements to keep in mind for the future. In that sense, the first report presented by the Council last July 25 addresses the referendum on Catalonia's political future and rigorously lays out the legal paths that would allow it to be held. Indeed there are numerous and varied legal frameworks for holding a referendum, but the political will must be there in order to take advantage of them. I would be remiss if I didn't remind you that this Chamber is processing at this very moment a proposal for a referendum law, and the goal is for it to be approved during this year 2013. It's important to point out that this law that develops the powers granted to us by the Statute of Autonomy, particularly in Article 122, is quite relevant, since it could be one of the legal paths possible for celebrating the referendum. Finally, following the resolution approved by this Parliament in the month of March that I mentioned earlier, last July 26 I wrote a letter to the president of the Spanish government to express to him in a solemn manner the feeling, will, and desire of a very large majority of the people of Catalonia. Further, I encouraged him to begin a dialogue and negotations for celebrating a referendum in an agreed fashion, under the legal frameworks that we establish. Beyond the letter, this desire of dialogue had also been expressed in other earlier meetings with President Rajoy. President Rajoy responded on September 14 to the letter that I sent him. His answer focused on what he understands as an offer of open paths of dialogue and respect within a judicial framework. The Government that I preside, and I myself are, and have been, in favor of the maximum possible dialogue between institutions and we have offered up to 5 possible legal paths for holding a referendum. We will take advantage of any sliver of possibility of dialogue with the institutions of the State. At the same time, there is a crucial question that even today has not been answered and which conditions any process of dialogue: Does the Spanish State accept holding a referendum in Catalonia to know the will of the Catalan people about the political future of their country? If it accepts this democratic principle, and responds to the common will of the Catalan people, then we will have to negotiate and agree on the legal framework to make it possible. However, if the Spanish State does not accept this principle, then what is there to negotiate about? First. The referendum must be celebrated in 2014, as was agreed in our legislative pact. We will work tirelessly to make it so. Second. Before the end of the year, we will specify the date, the content of the referendum, and the legal frameworks that will be used, keeping in mind that there are five possibilities. My wish is that this triple agreement be achieved among all of the political formations who are in favor of the right to decide. Third. We want to celebrate a referendum in agreement with the State, or at the least, in a framework of tolerance, and therefore, without judicial conflict. Fourth. If, despite our unequivocal desire for dialogue and agreement, no negotiations with the State are possible, I am prepared to use, as President, all of the democratic and legal tools at my disposal in order to help the people of Catalonia be able to freely decide its future as a country, including convoking elections. It's not the method I prefer, nor is it the best. Nevertheless, I am prepared to get to that point, as a last resource, if there is an attempt to silence the Catalan people's voice and block their ability to vote. Although the political process in which Catalonia is immersed is immensely and profoundly crucial and far reaching, and captures a huge amount of interest and media attention, it is not by any measure the only topic of importance that our country is living through and that the Government is taking care of. If the political process progresses it's because it has the potential to strengthen our collective well-being for a good time to come. We'll enter, then, the second theme of this presentation. *"dret a decidir" [right to decide] is a phrase in Catalan which is generally an abbreviation of "right to decide Catalonia's political future" and which in English is more often given as "right to self-determination". Since the pharse "right to self-determination" exists in Catalan as well, I have chosen to translate "right to decide" more literally. 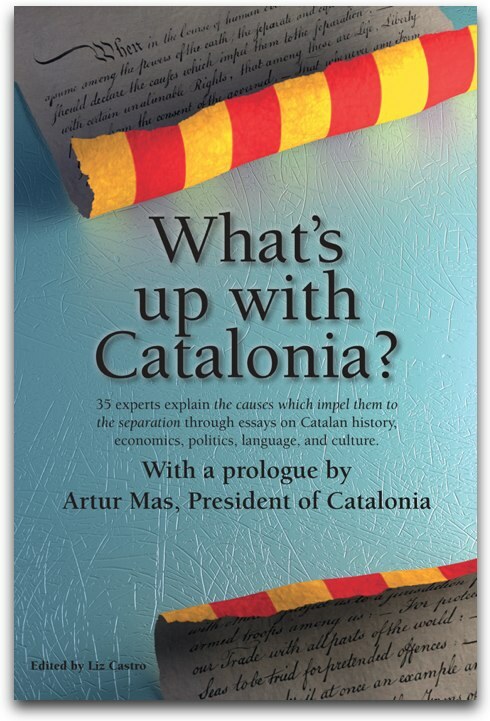 *"consulta" [referendum] While there is technically a legal difference between "consulta" and "referendum" in Catalan (and Spanish) and President Mas uses "consulta" in his speech, there is no English word that captures the meaning of "consulta". (A consultation is something you get at the doctor's office.) It might be translated as "non-binding referendum", but that is wordy, and more explicit than perhaps is desired or necessary. I have chosen to translate it simply as "referendum" since in the end, that's what it is: asking the people what they think.